The Grosvenor UK Poker Tour, the longest running poker tour in the UK, is kicking off a packed 2017 season with a first stop in London at the famous Vic Casino at the end of the month. GUKPT London will run from January 29 to February 5 with a £200,000 guarantee for the £1,000 Main Event. The GUKPT’s 2017 season will feature a something-for-everyone mix of £1,000 and £500 Main Events. There are nine legs in total: following London, the tour heads to Manchester (February 26 to March 5) and then Edinburgh, Wallsall and Reading. MainEventTravel.com is the GUKPT’s Official Travel Partner so don’t hesitate to get in touch for great deals on all your accommodation as you follow the tour around the UK. 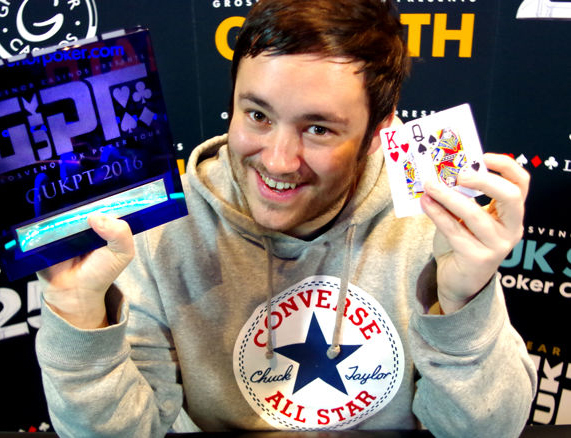 British player Marc Wright was the last GUKPT champion after taking down the 2016 GUKPT Grand Final in London last month for £132,380.